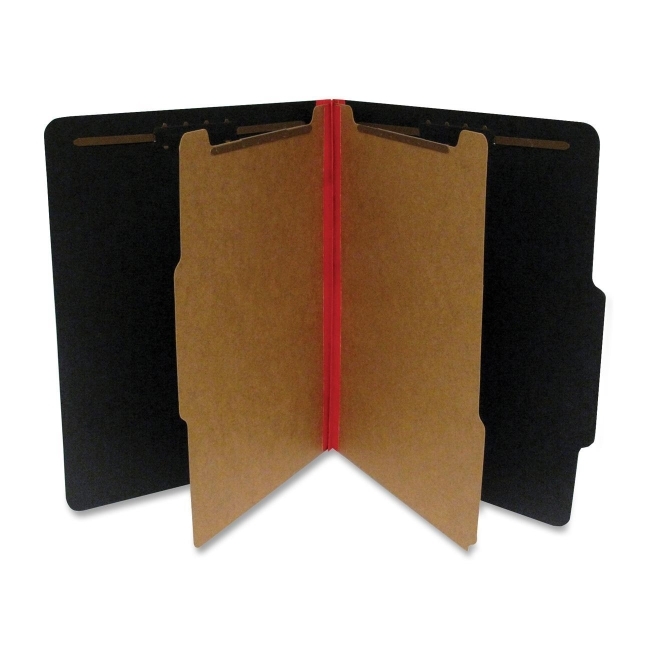 Classification folders are perfect for organizing, color-coding projects and more. Exterior is all black except for the 2-1/4" colored Tyvek gusset. Document storage in four separate sections is made of sturdy 25 point Pressboard bonded with long-lasting gussets. Two fasteners are affixed to the inside front and back cover. Double-sided fasteners are on the two 17 point kraft dividers. Tabs on dividers and folders are 2/5 cut right of center. 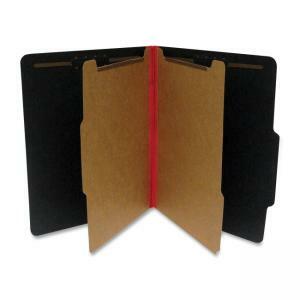 Folders are made from 60 percent recycled material with 30 percent post-consumer material.